The understated Voortrekking Jag ankle boots are an essential for casual, cold-weather wardrobes. 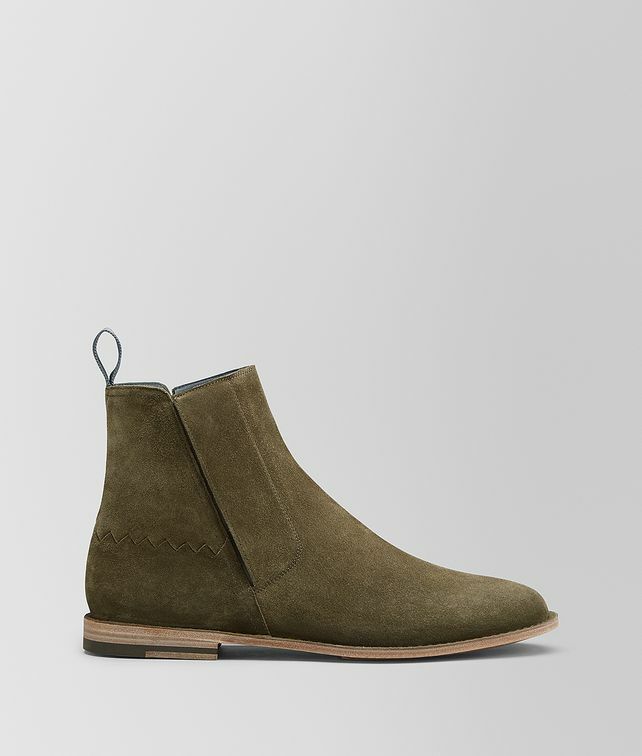 Crafted from calf suede, the boots are detailed with the house's iconic zig-zag inlay. The hidden stretch insert ensures ease of wear and a seamless silhouette. Finished with a practical pull-tab and slim leather sole.